Men--we can't live with 'em, can't live with out 'em, and can't figure out what to knit 'em. Knitting for men comes with a whole host of challenges. We keep stashes of brightly colored yarn and print patterns of lacy scarves for ourselves, but projects seem few and far between when we try knitting for men. Sometimes we think it will suffice to make a favorite pattern a little more masculine--knitting in a different color or making the size a little larger--only to discover that it just won't do. Don't worry--we've collected 50 different dude-approved knitting patterns that he'll love. 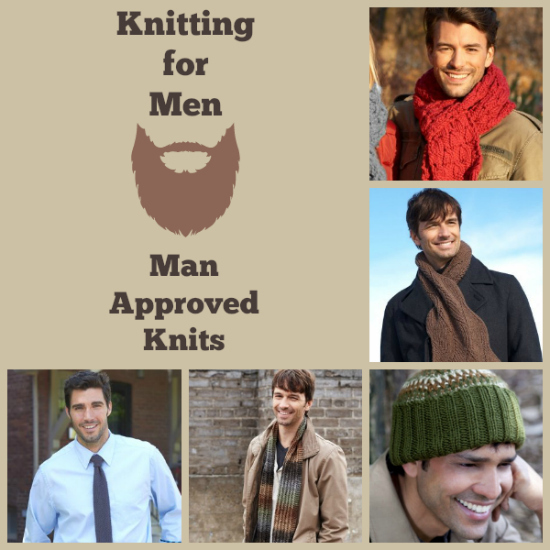 Knitting for men is easy when you have this manly collection of knits at your side. These macho knits are perfect for the man in your life. Get even more knits for your man in our roundup of 12 Knit Father's Day Gifts! 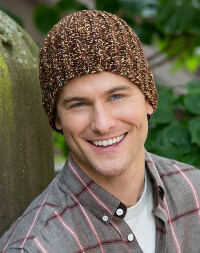 Hats are an absolute fail-safe when knitting for men. Your hunk will love these hats. When your man is running out the door, the first things he'll reach for are his hat and jacket. Make sure to knit one of these handsome hats for all of his jockular adventures. Knitting for men requires strong and strapping patterns. Your man will love these thick, stout scarve scarves. These scarves are the perfect cold-weather staple for a man of any age. Even when his hair starts to gray, your man will still wear his favorite scarf. Knitting for men is a challenge when they act as if they don't get cold in the winter time. 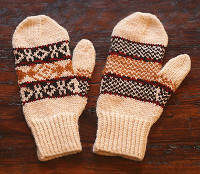 When your man starts burying his hands in his pockets, it's time to knit him a pair of mitts. He may not say his hands were chilly, but he'll appreciate the gloves! Make sure his hands are warm when he's stubbornly watching those outdoor sporting events in the snow. Don't try knitting for men with any old sweater patterns. These robust knit sweaters are made just for him! He'll love the strong cables and traditional patterns in this collection. Whether he needs a matching sweater for that family photo-op, a knitted vest for the office, or a classic cardigan for running out, he'll love donning these dude-approved sweater patterns. Don't just stick to wearable patterns when knitting for men. Make masculine knits that he'll love to use. He'll love these knitted accessories whether he's at the office, on the golf course, or by the t.v. Here's some knitting humor for you all. Do you want more gift ideas for your husband? 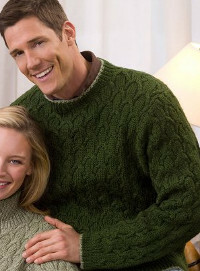 Check out our roundup of Knitting for Men: 13 Simple Patterns For Father's Day.